Video Camera for Pets - Oasis Scientific Inc.
· Autofocus CMOS sensor with automatic light adjustment. · 720 x 480 image resolution. PC by using the USB cable provided (compatible with Microsoft Win 2000, XP, Vista, Windows 7, Mac OS and Linux). · Image capture of 29 images per second. · Auto snap function. 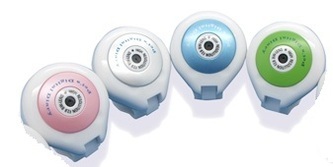 Snap time period setting is available with 5 modes internal timer (10 Sec, 30 Sec, 60 Sec, 3min, 5min). 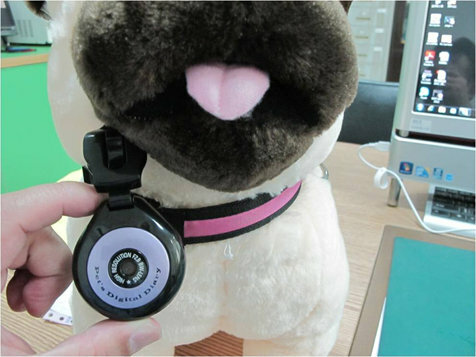 · Built-in microphone for sound. · TV playback (note: TV cable is not included in the package). approximately 6 hours after inserting into the computer. 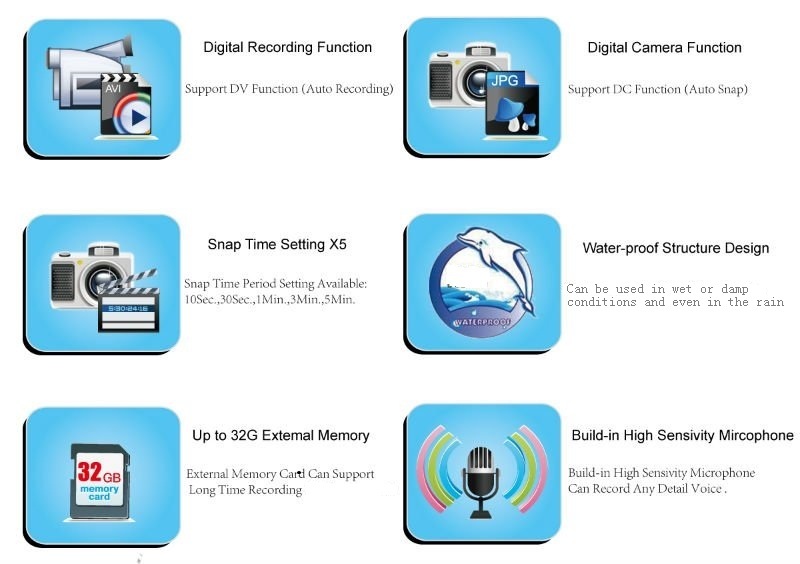 · Support TF card up to 32G. Never lose any data while you change the battery. Max 5760 photos. be fully submerged in water (like when your dog decides to have a swim in the lake!). · Video camera firmly attaches to pet's collar with its especially-designed fastening clip. · Color change on decoration ring is available. 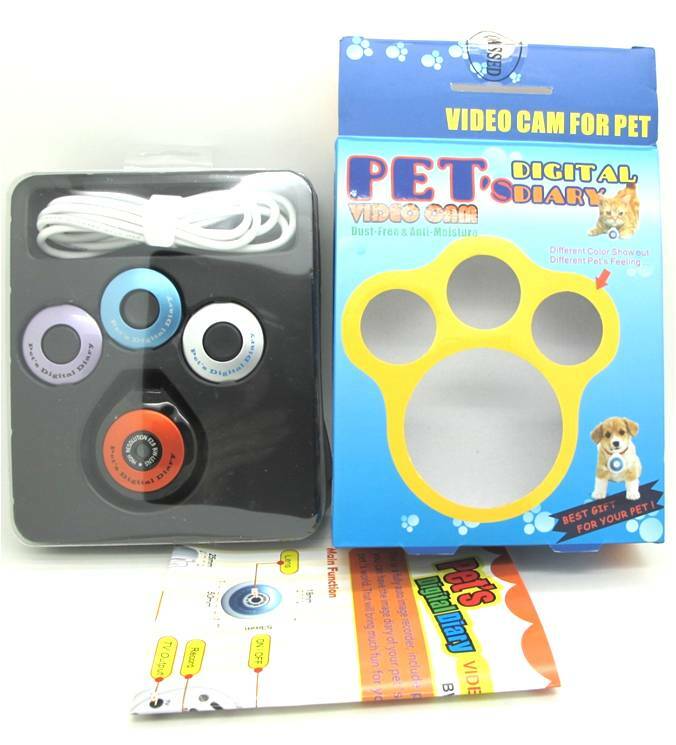 This miniature pet video cam digital camera allows you to experience a new adventure: the world from your pet's eyes. With the video camera safely in place, press the record button to start recording. 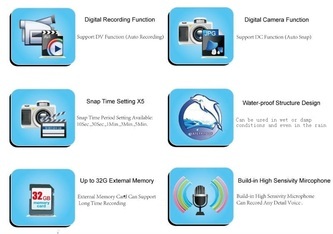 When you have finished recording, recover the camera and connect it to your PC using the USB cable provided. The recorded video or snapped pictures can then be viewed directly onto your computer screen without the need for any drivers or installation CDs. 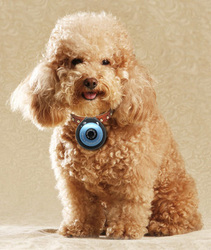 With support TF card up to 32G (TF card with 2GB is included in the package) , Li-Ion battery, auto video recording function, and auto snap function, the result is two hours of sound and video or max 5760 photos from your pet's perspective along with memories and full access to his or her adventures.